Enjoy a great bonding activity with your whole family at the largest community event of the year of New Hampshire Fish and Game Department! This free affair will be on Saturday, April 16, from 10:00 am to 3:00 pm at 11 Hazen Drive in Concord, N.H. 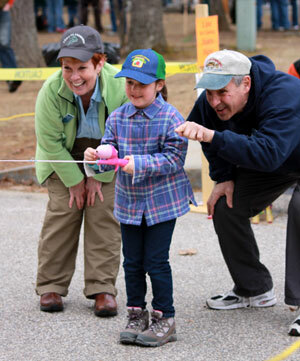 This most popular event of the New Hampshire Fish and Game Department is an exciting way for the whole family to discover and learn different wildlife resources and outdoor traditions. There will be educational exhibits by environmental and conservation organizations that you can check out. Live animals, big fish and trained falcons are also going to be present at the event. Other activities like archery, casting, fly-tying and B-B gun shooting are available for anyone as well. The kids can get creative with hands-on craft activities or watch retriever dogs in action. There are newest hunting and fishing gear and gadgets on display too!